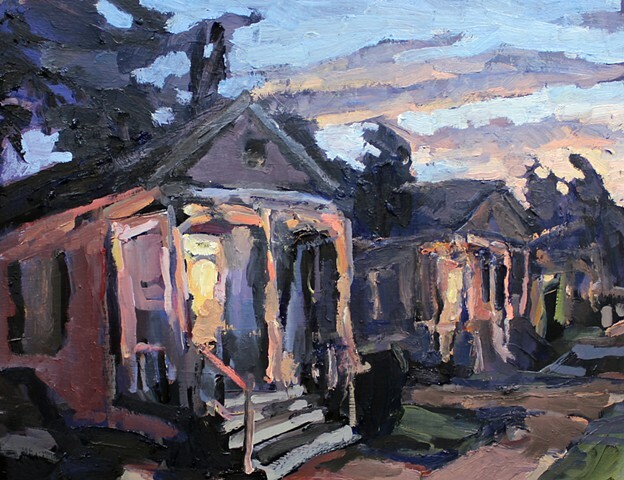 Neighborhoods in New Orleans are in a constant state of transformation. 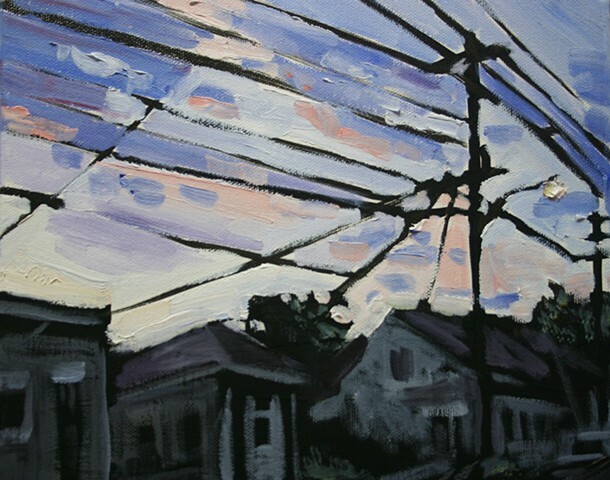 They undergo a cycle of natural disaster, neglect, renovation, and repopulation. 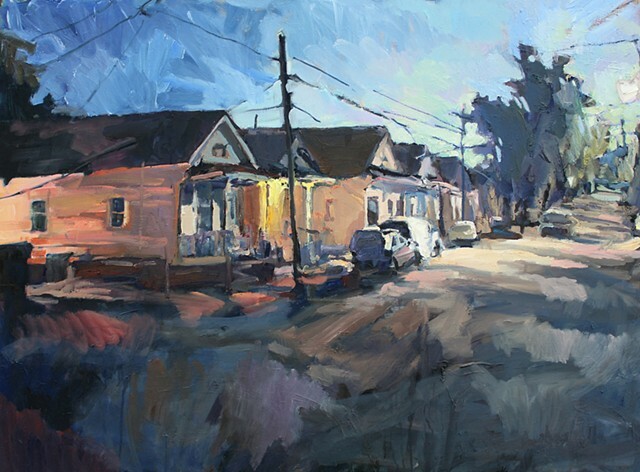 In this constant state of flux, neighborhoods retain aspects from the past, while adapting to the new. 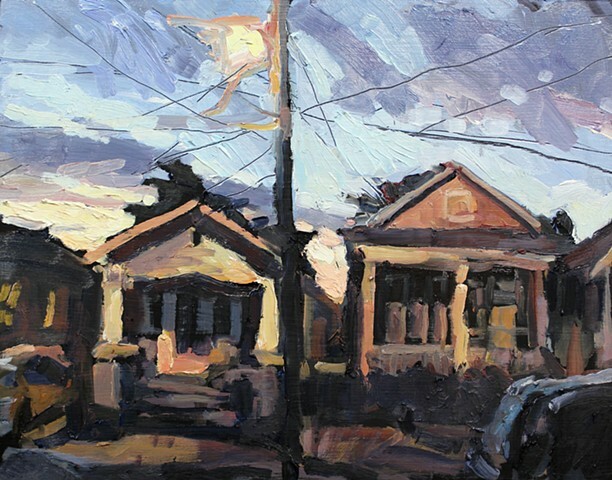 These neighborhoods are testaments to struggle and of hope. 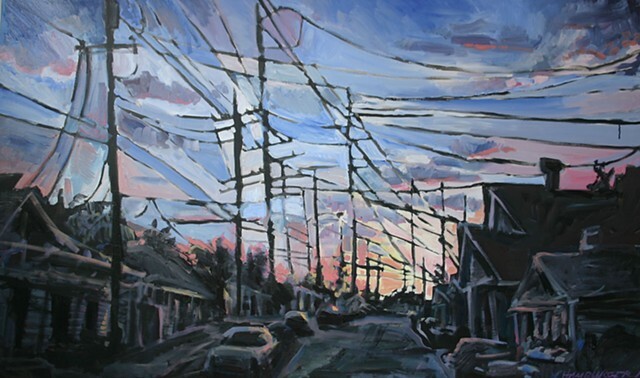 Their evolution lends them energy of their own, creating a character which blindly directs its future. 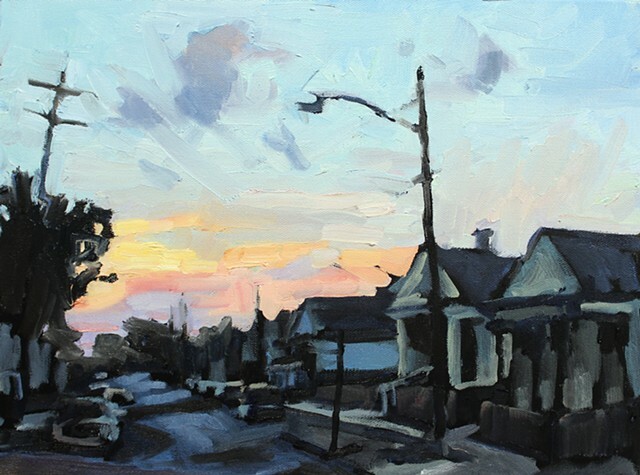 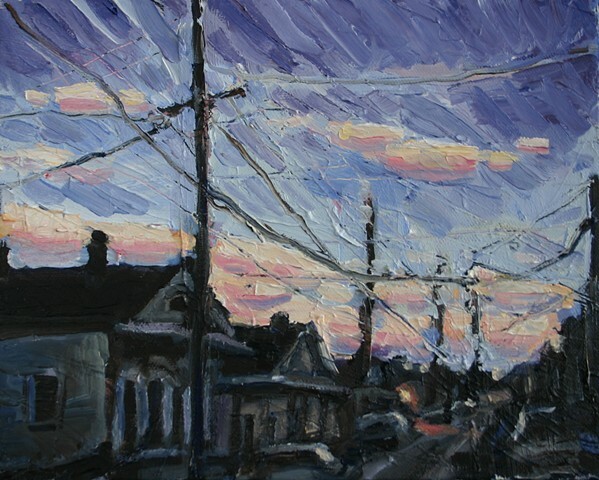 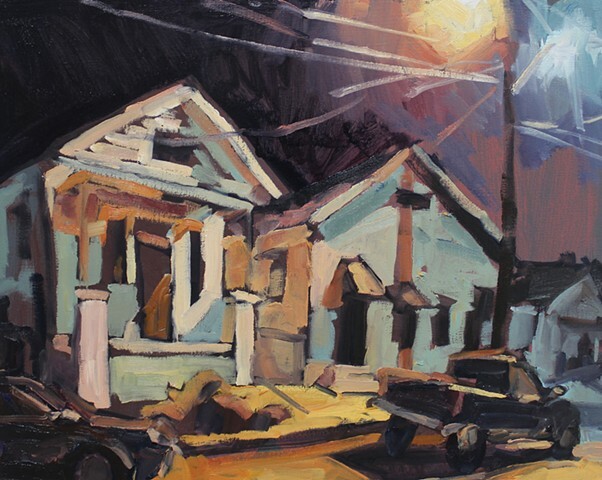 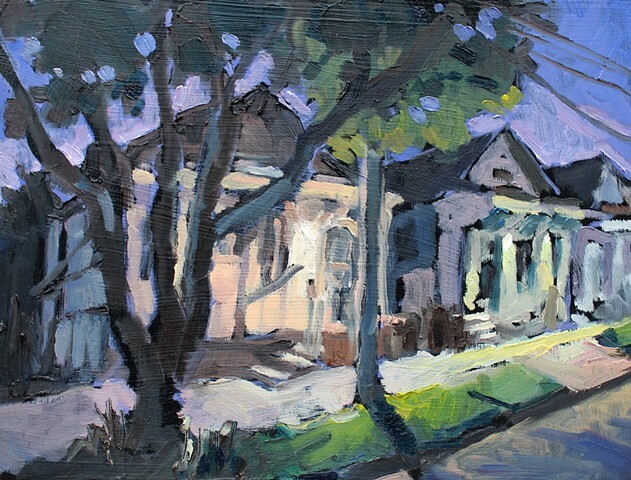 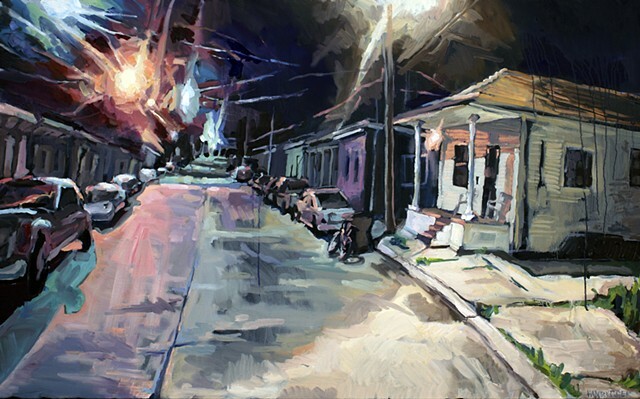 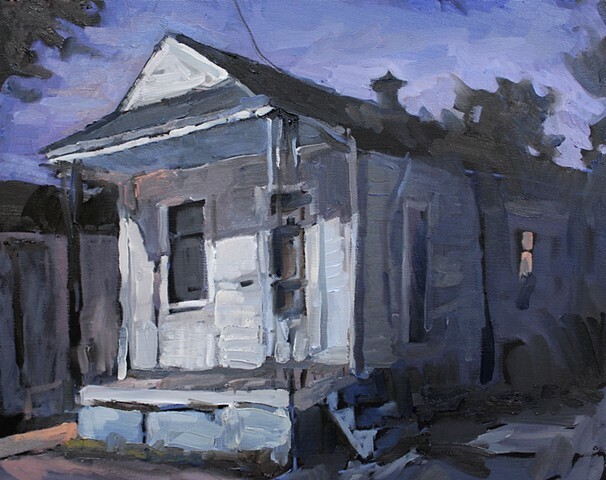 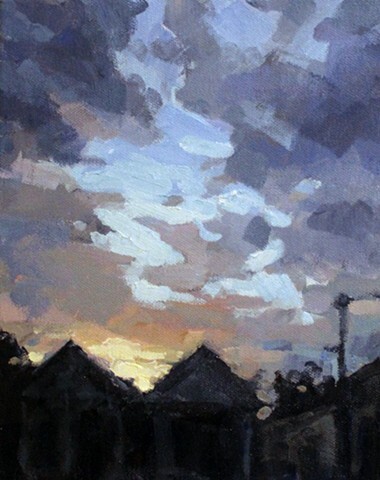 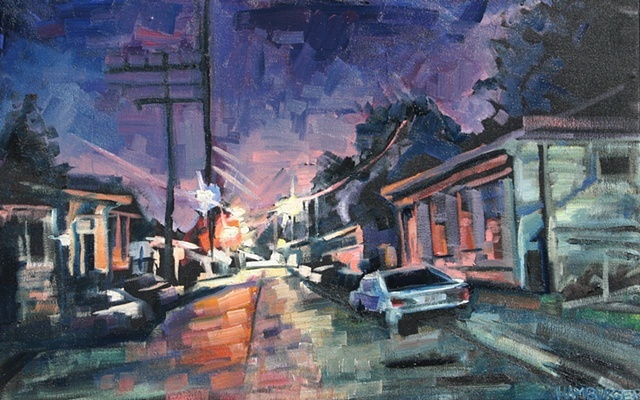 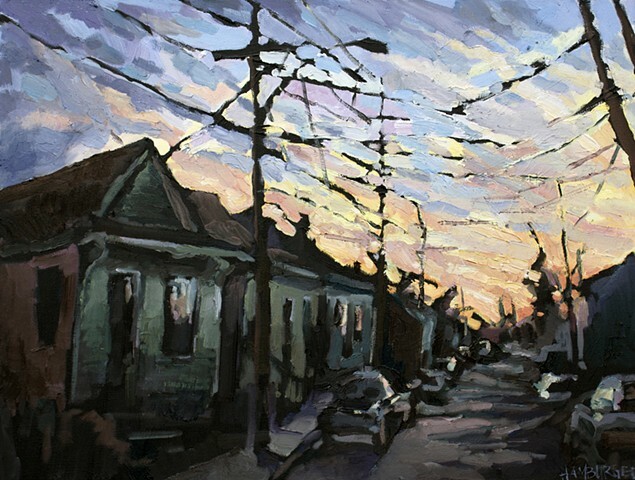 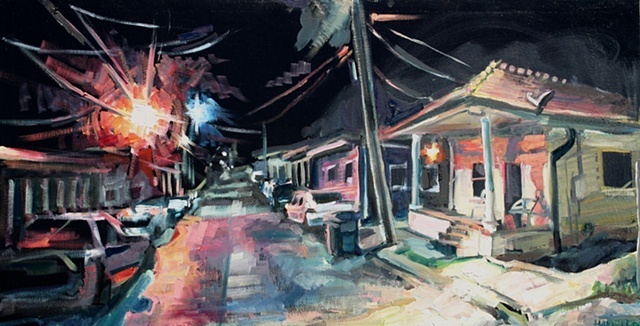 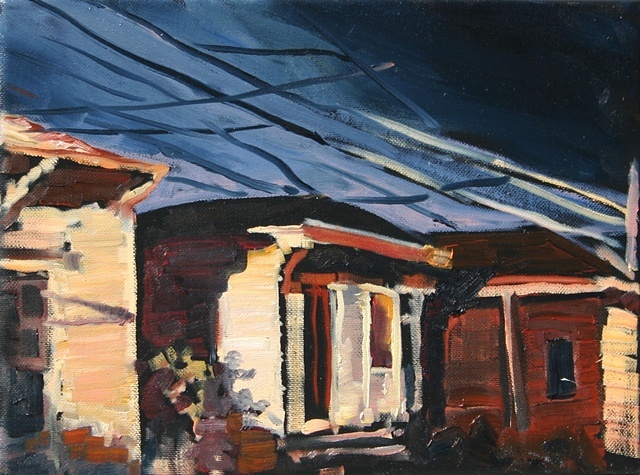 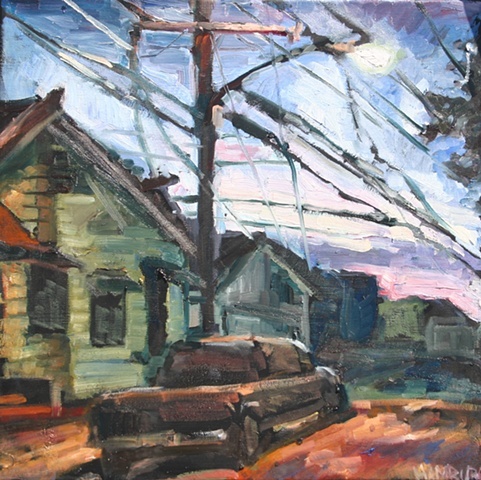 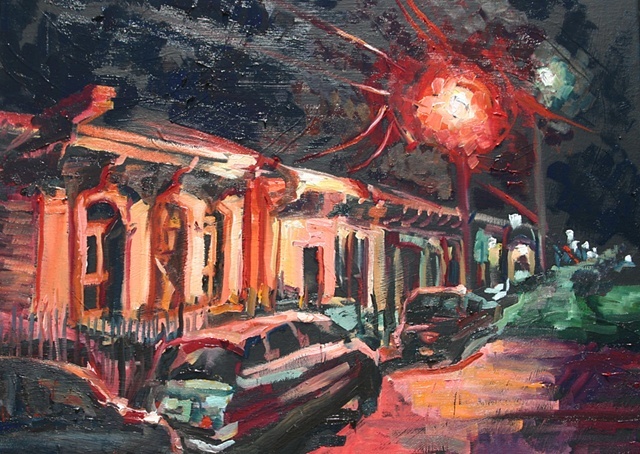 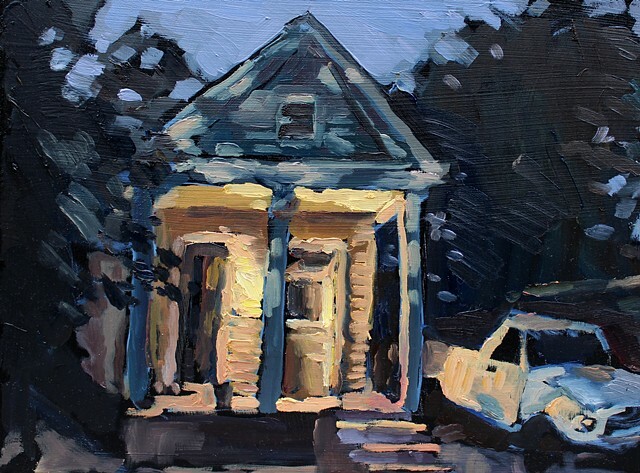 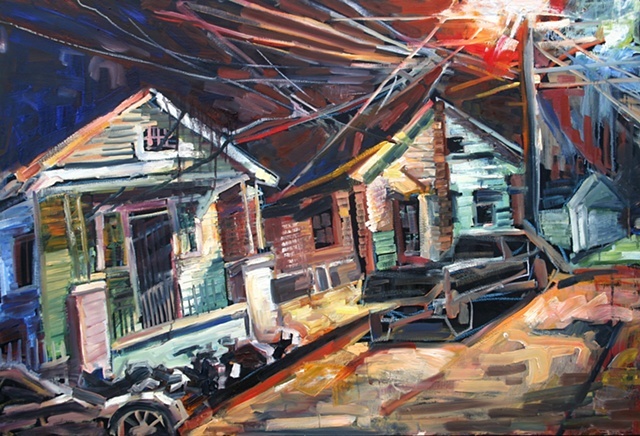 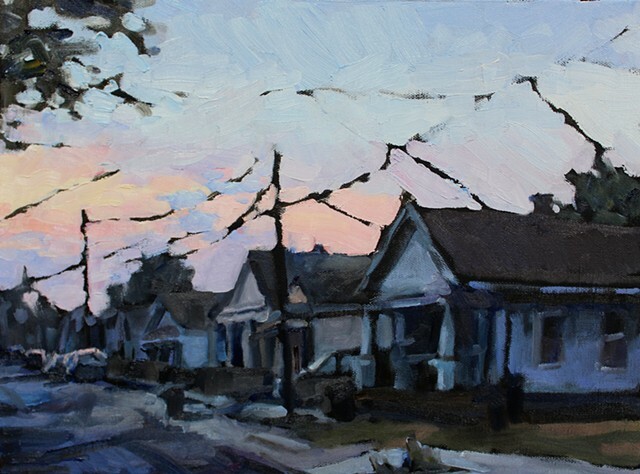 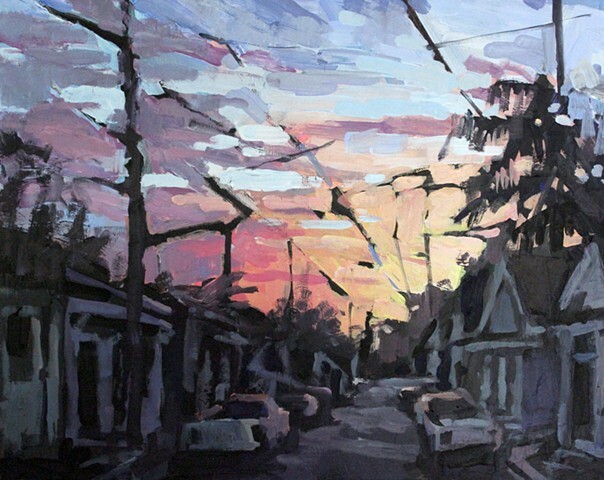 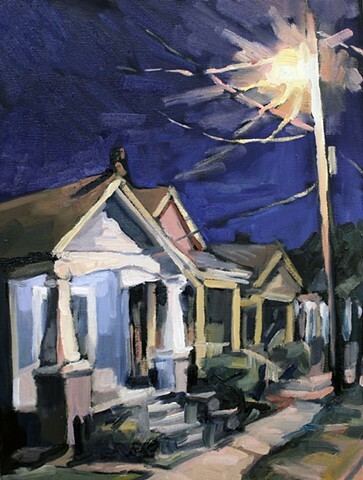 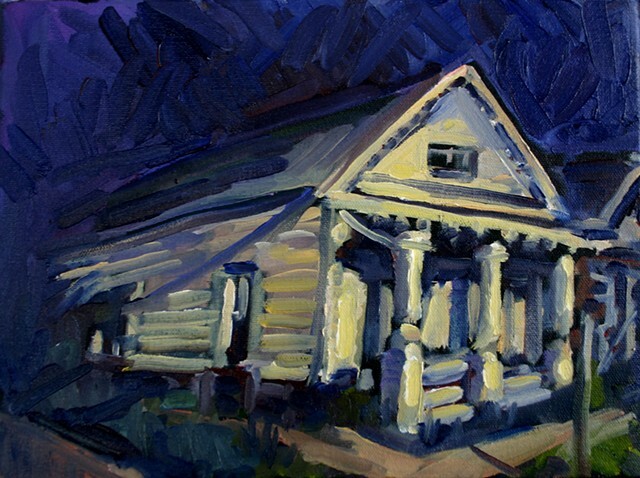 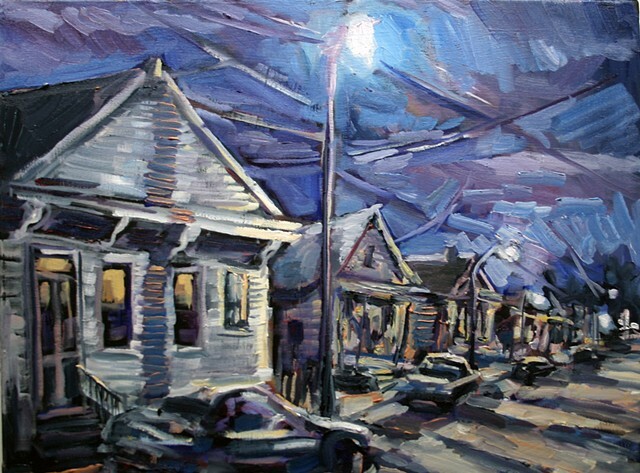 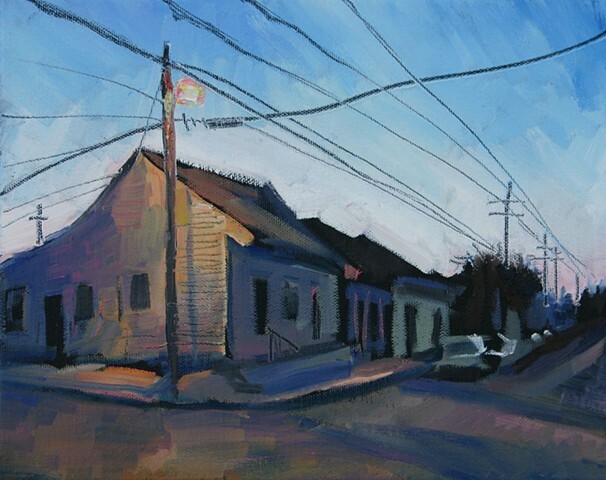 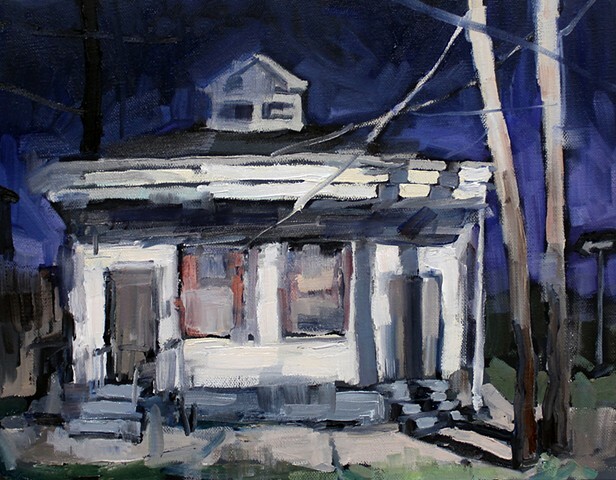 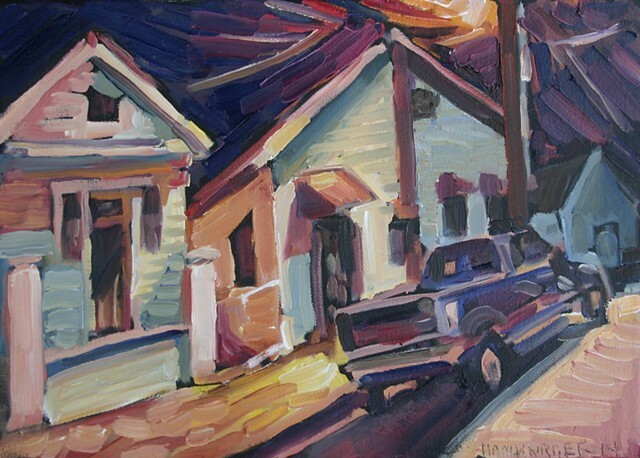 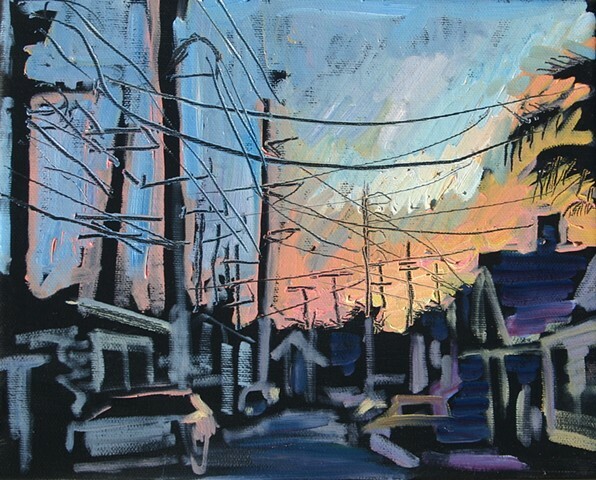 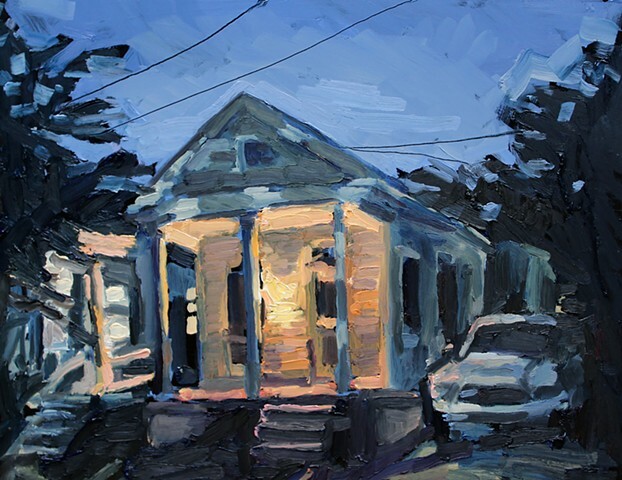 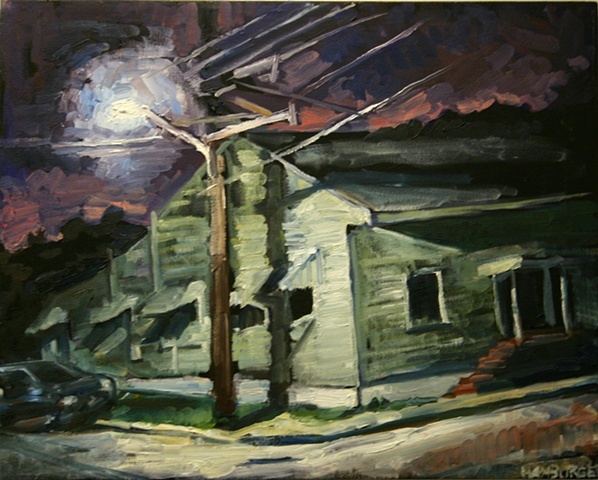 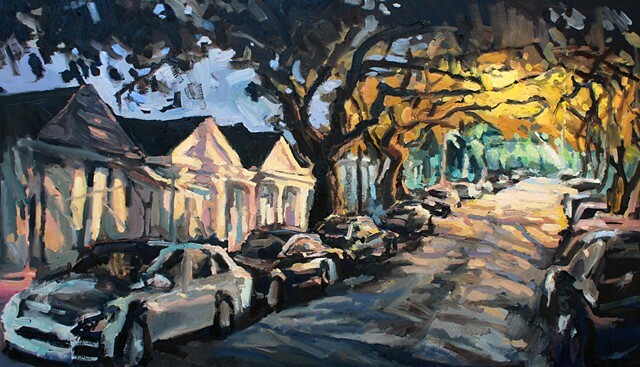 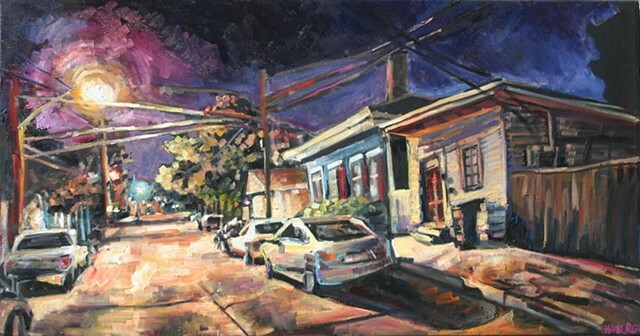 Inspiration for this series comes from the impression that neighborhoods in New Orleans are constantly on the verge of breaching a new day. 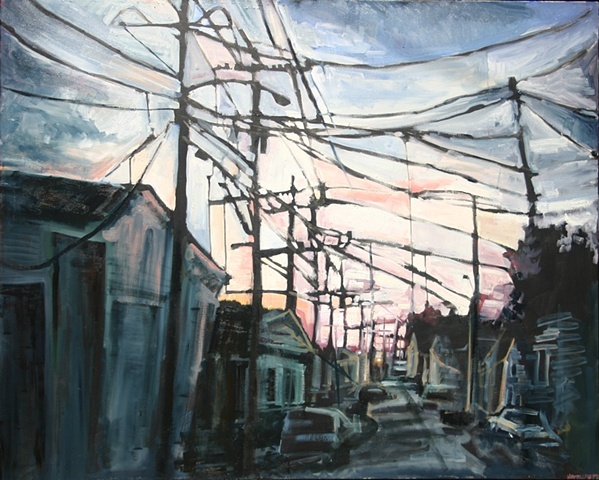 This series depicts the pulsating energy of streets before they become a back drop to busy work days, complicated relationships, and the daily grind. 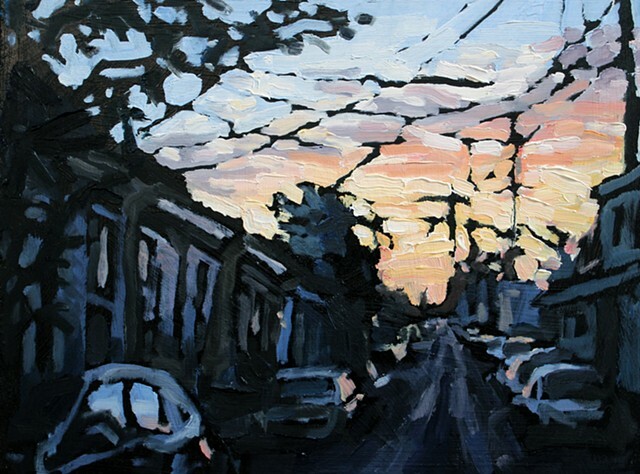 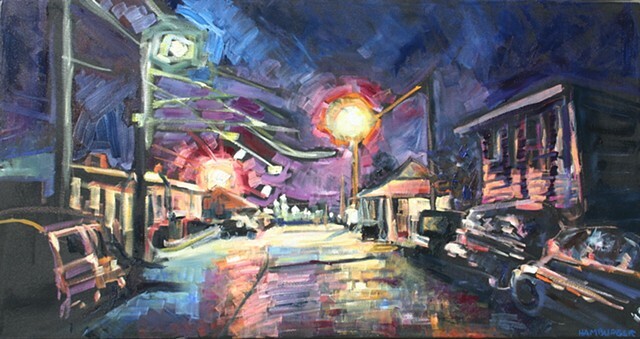 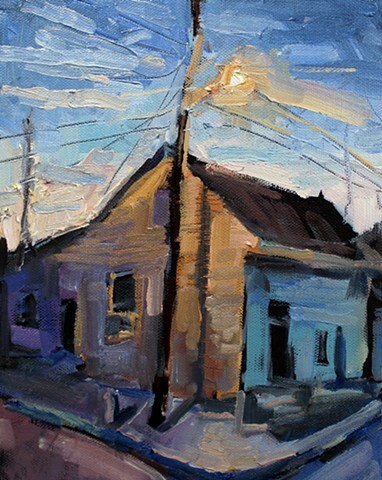 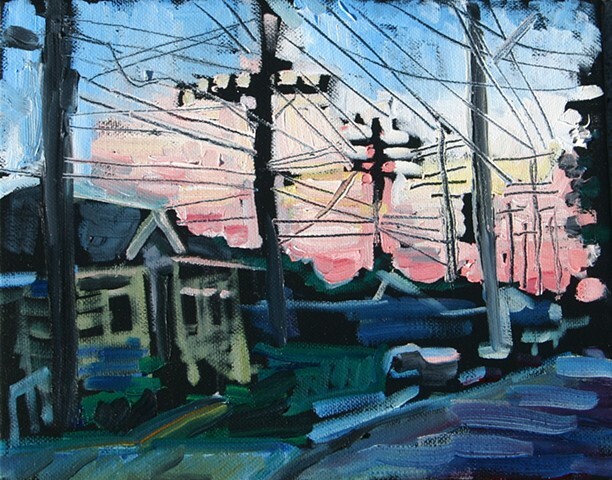 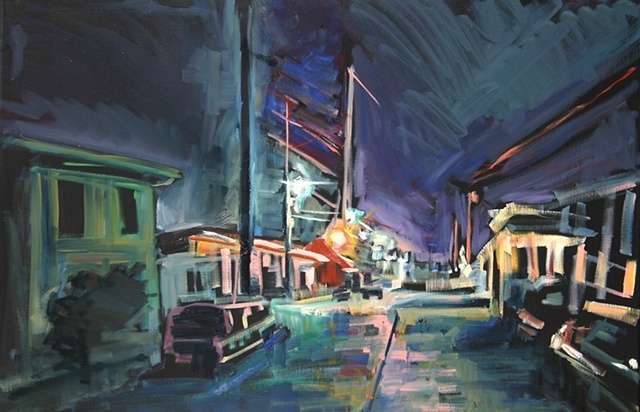 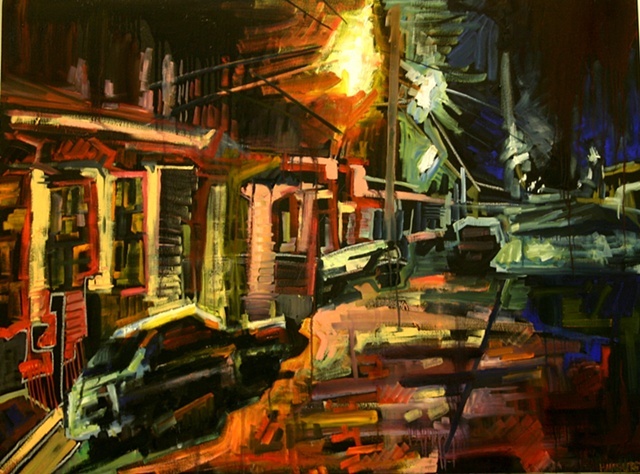 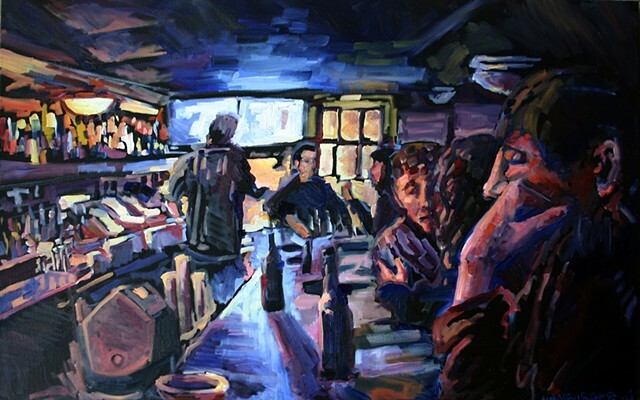 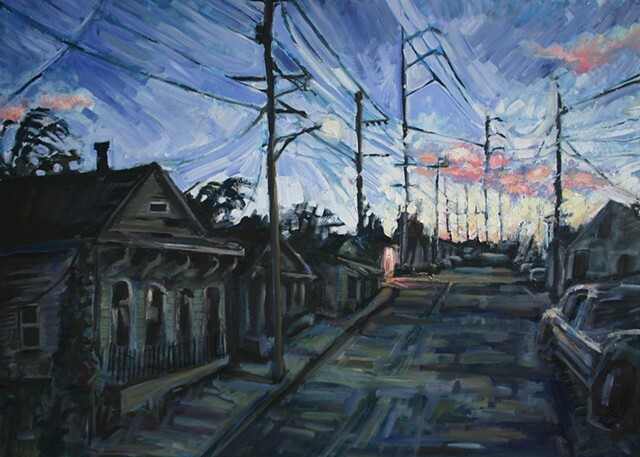 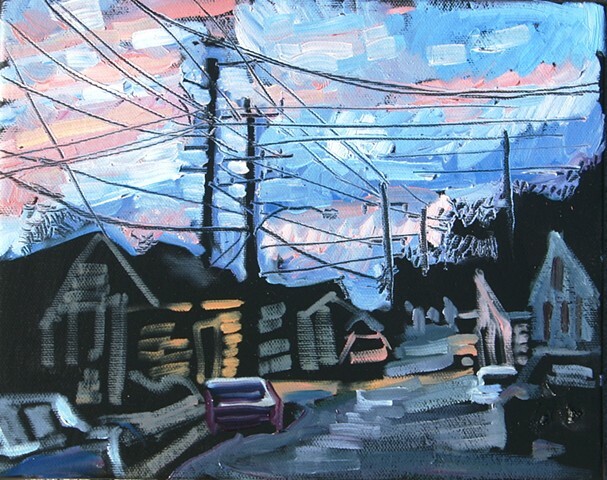 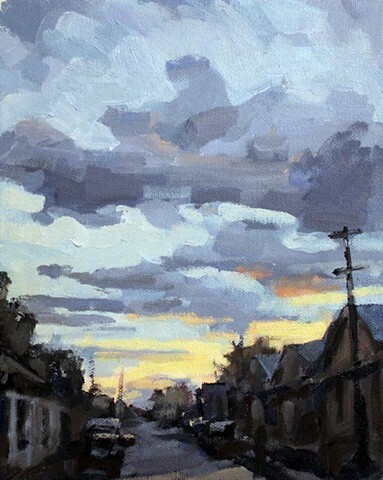 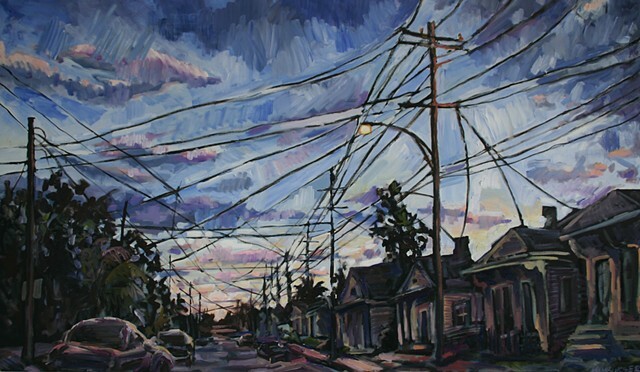 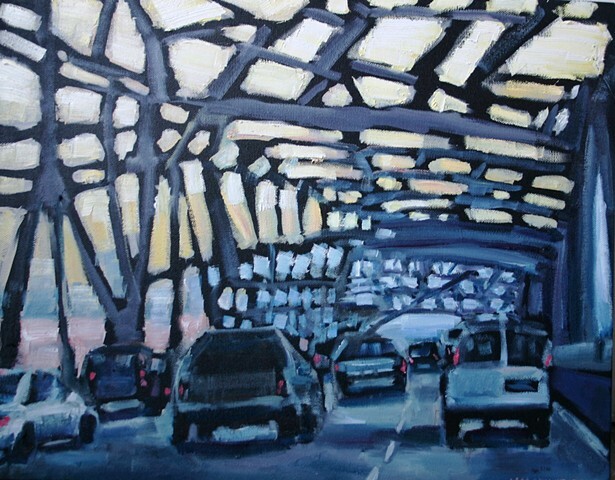 Each painting is a reflection of a fleeting moment and an unfolding future on a street that will never be the same.